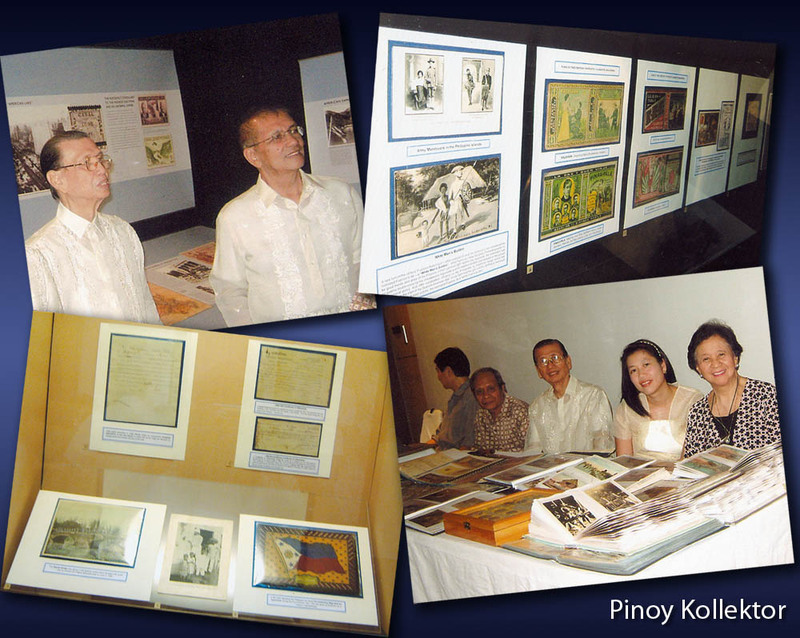 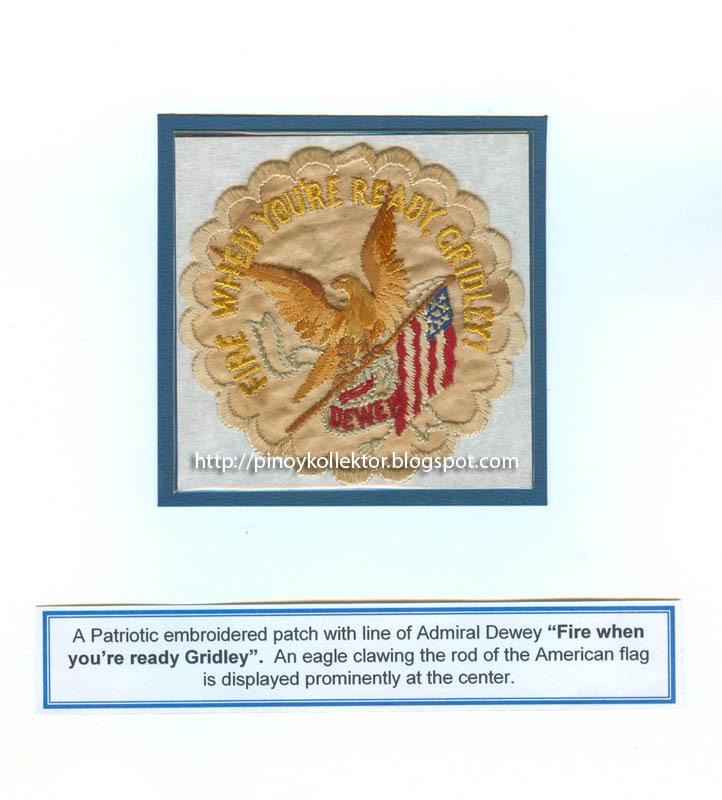 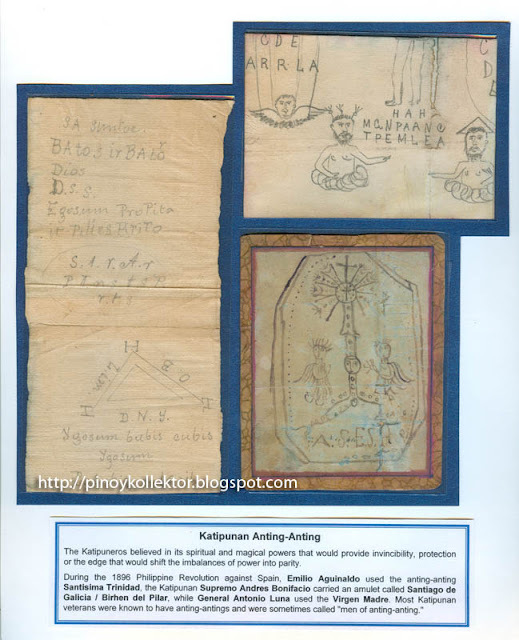 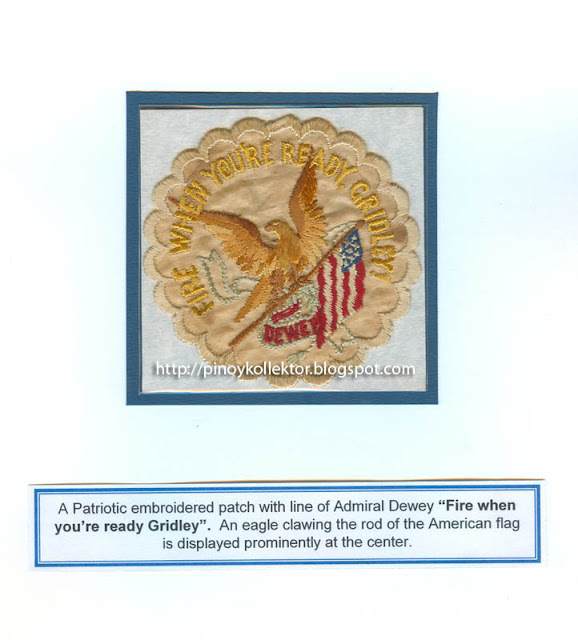 Last July 2009, Bayanihan Collectors Club was invited by the National Museum of the Philippines to exhibit some of our member's Philippine - American war memorabilia. The exhibit titled War & Dissent (The U.S. 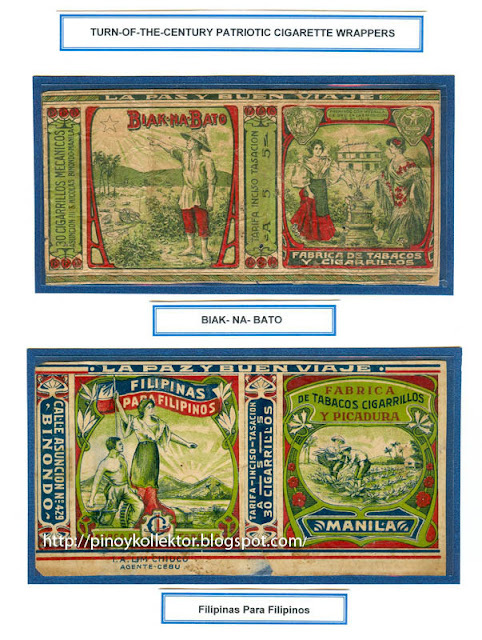 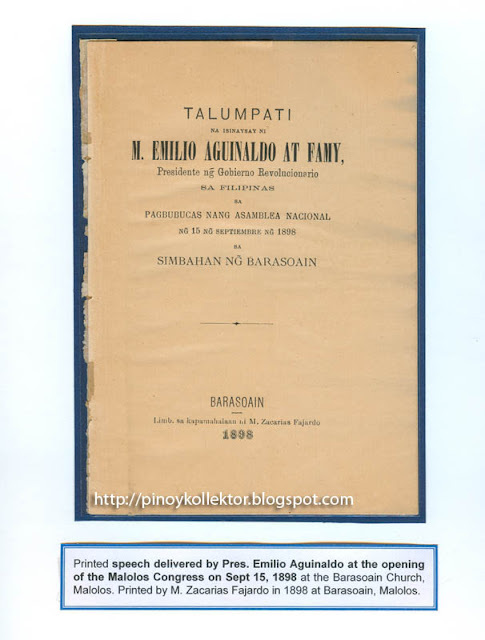 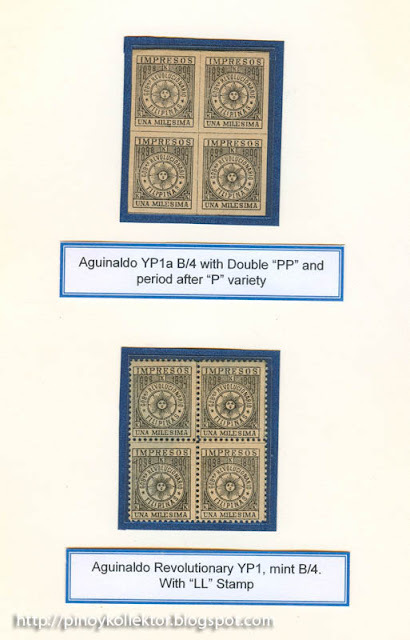 In The Philippines, 1898-1915) was presented by the Lopez of Balayan, Batangas Foundation and in partnership with the National Museum of the Philippines and Fundación Santiago. This exhibition was produced by the Presidio Trust, Presidio of San Francisco, California, Golden Gate National Parks. Randolph Delehanty, of Presidio Trust, historian and curator said that it was a great honor for the Presidio Trust to present this exhibition at the National Museum of the Philippines. This exhibit began with a gift and a question. Mr. Allan Harlow, the grandson of Sgt. Hiram Lewis Harlow of the 51st Iowa Volunteer U.S. Infantry, gave his grandfather’s war diary to the Presidio Trust Library because Sgt. Harlow trained in San Francisco. Mr. Harlow wanted to know why his grandfather was in the Philippines. The Philippine War, also known as the War of Philippine Independence, was destructive and divisive. 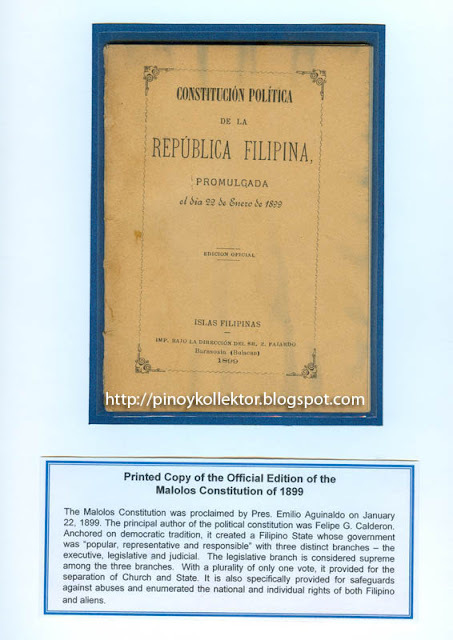 Perhaps this is why most Americans, and many Filipinos, know so little about it. 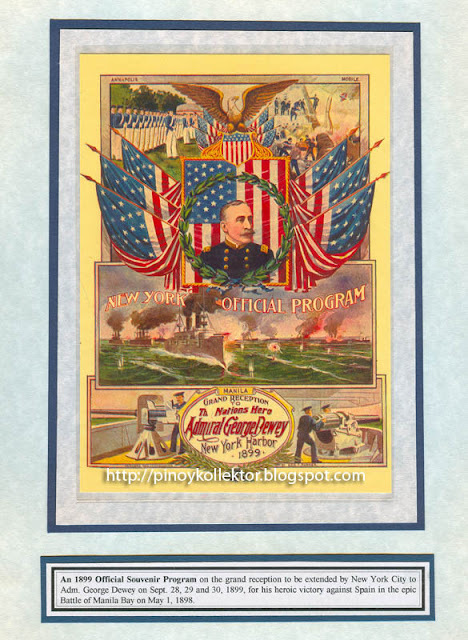 Sharp dissent erupted in the U.S. when President McKinley decided to make the Philippines an American colony. For the Philippine Republic, the war for independence from Spain became a war against the United States. 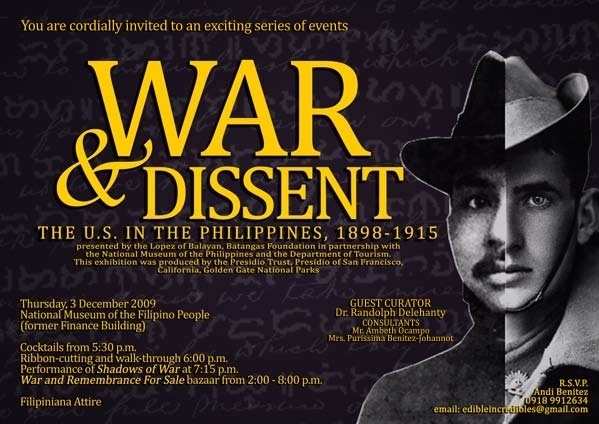 Thus the double theme of this exhibit: war & dissent. 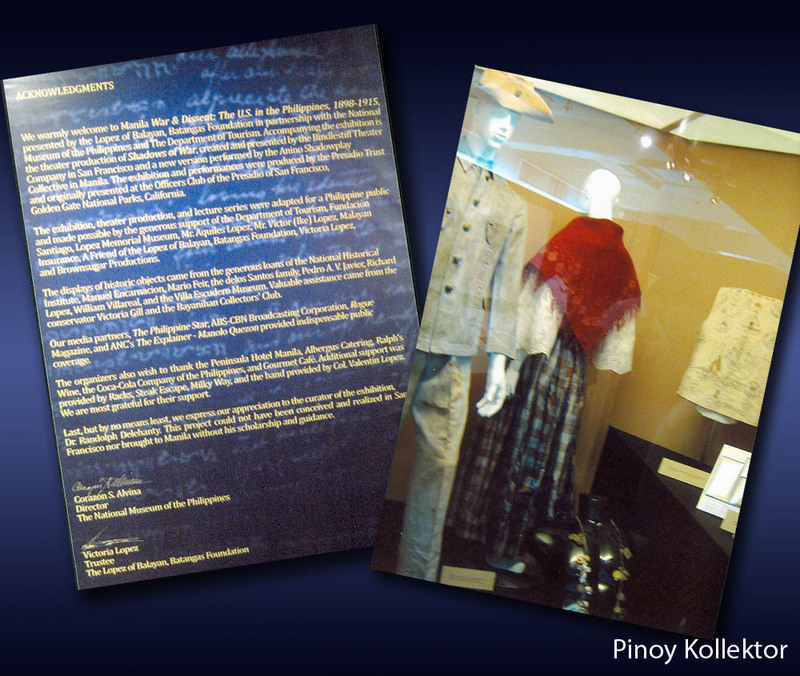 The exhibit examined that tragic conflict from both U.S. and Filipino points of view. 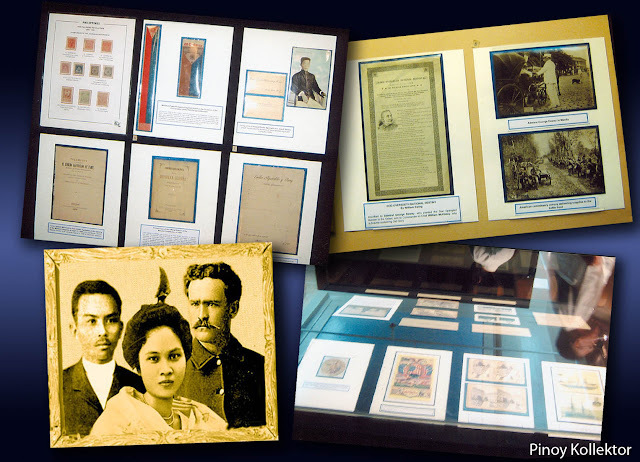 The Filipino American National Historical Society in the Bay Area was important in the exhibit’s creation, lending materials and providing perspectives. 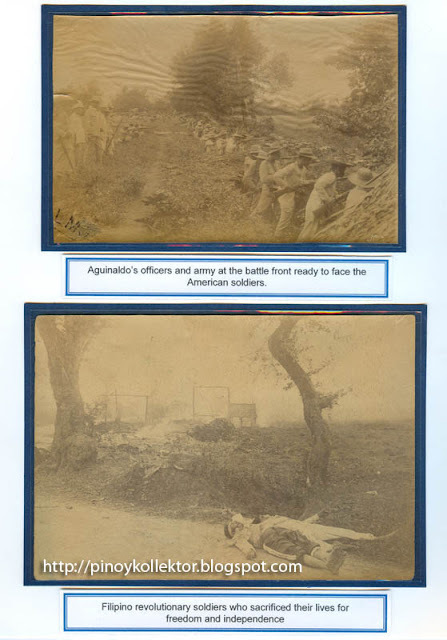 There is much more that could have been said about this war. It was conflict that, though now almost forgotten, forever linked the U.S. and the Philippines. 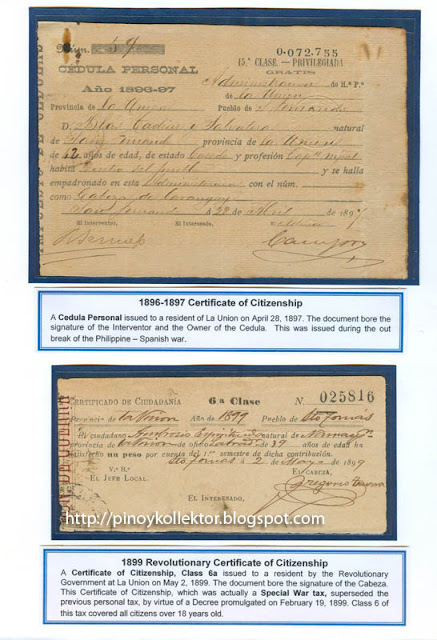 Katipunan form signed in blood by the revolutionist Joaquin Bautista. 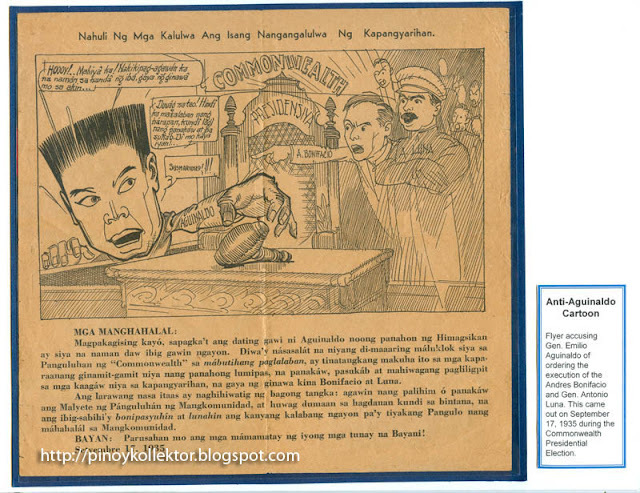 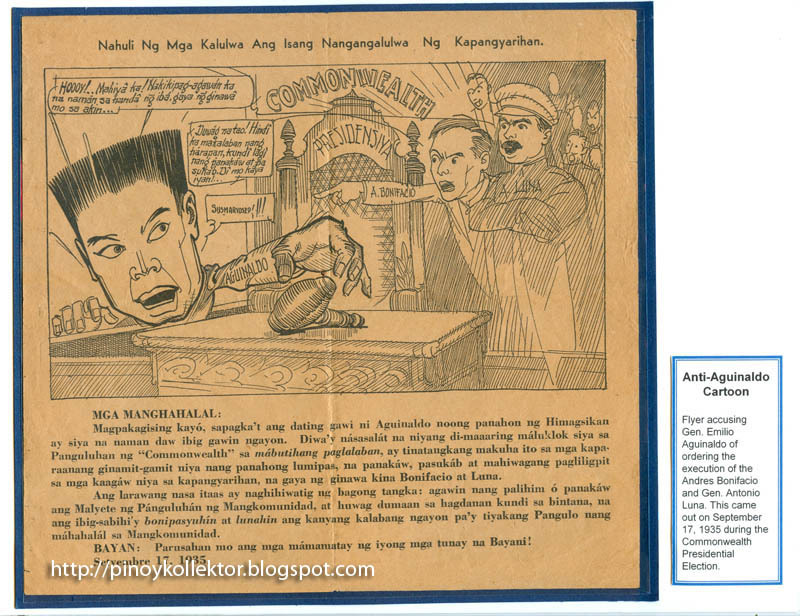 Anti-Aguinaldo cartoon blaming him for the death of Andres Bonifacio and Juan Luna. Manila and San Francisco are linked by history and a Sister City Agreement. 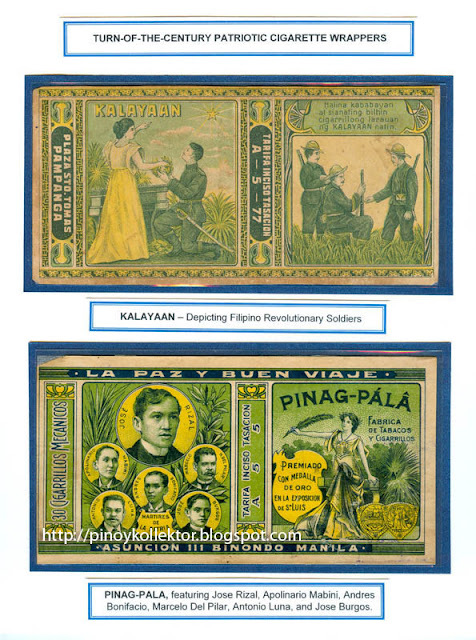 Both are linked by the Spanish-American War and the subsequent Philippine-American War at the turn of the twentieth century. 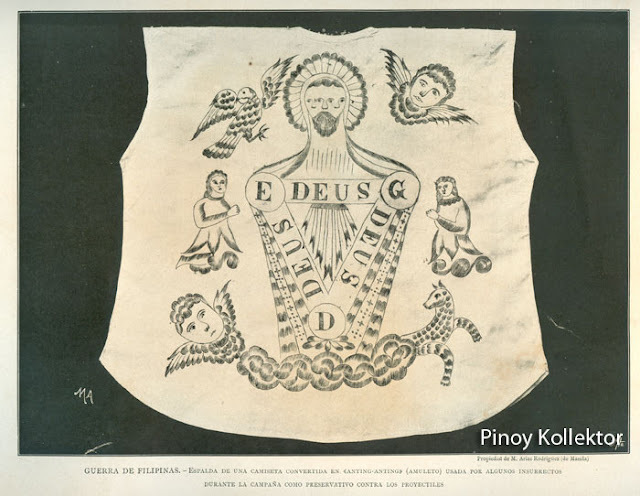 One of San Francisco’s landmarks on Union Square is a slender column crowned by the image of a woman depicting “Victory,” carrying a trident. 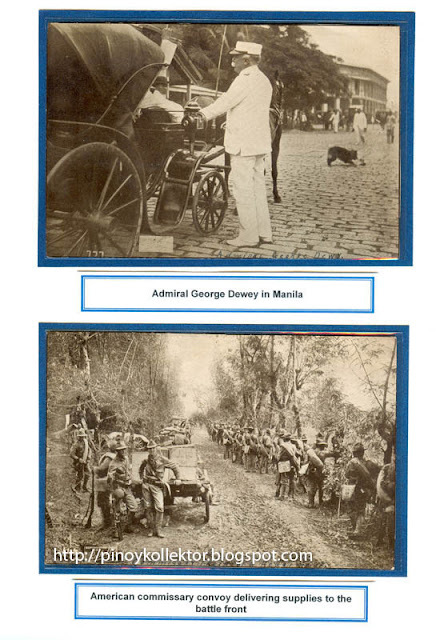 This monument commemorates George Dewey’s victory in the Battle of Manila Bay on May 1, 1898. 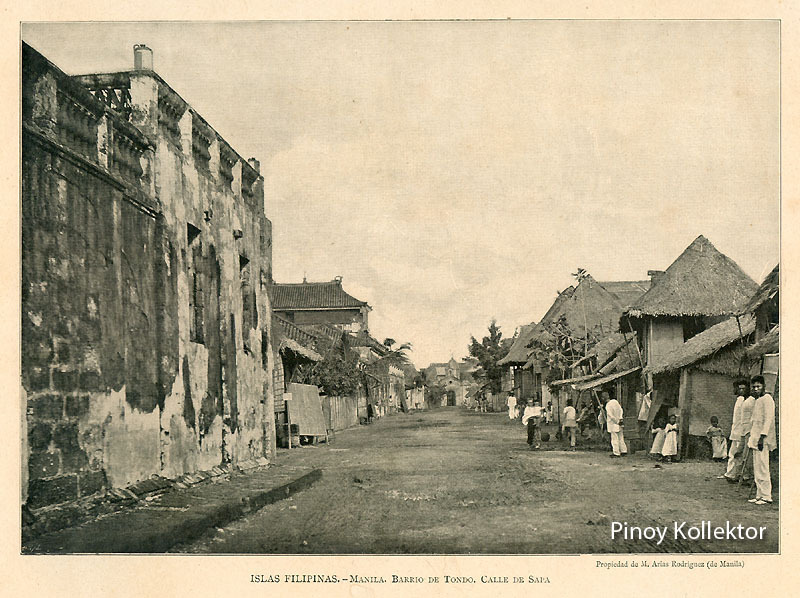 The bayside street where the U.S. Embassy now stands in Manila used to be known as “Dewey Boulevard” and is the backdrop for postcard-pretty sunsets. 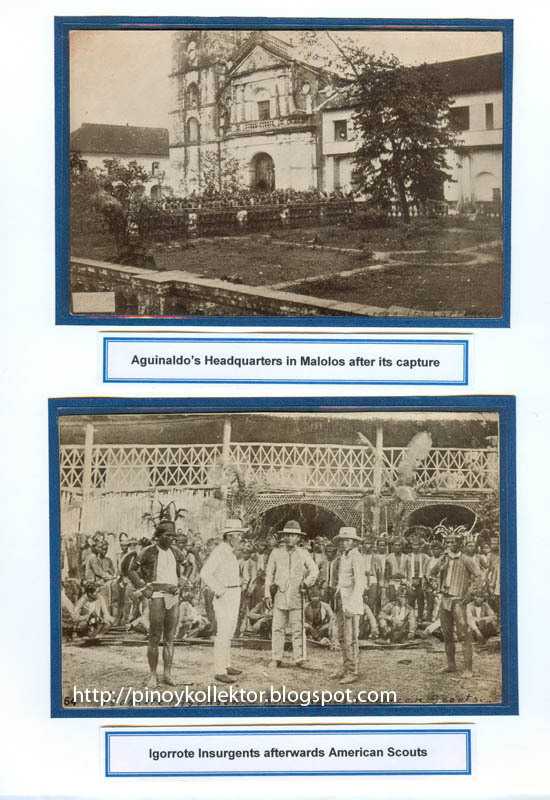 Both monuments link us to a shared, but often forgotten history. The first shot in the Spanish-American War did not occur anywhere near Washington or Madrid, that shot was heard half a world away in Manila Bay. 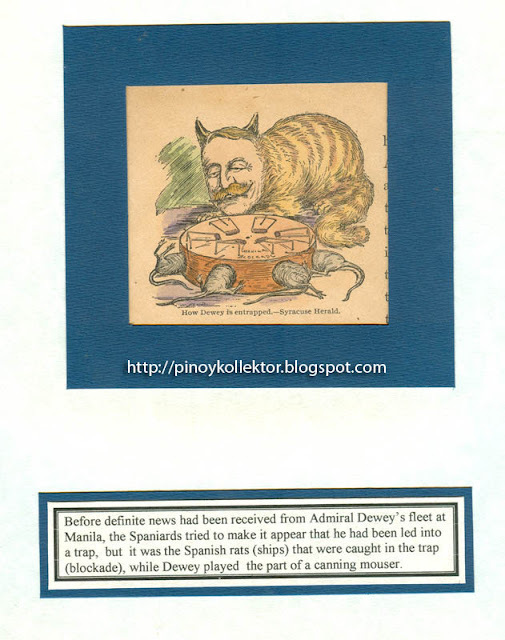 While Dewey held Manila hostage from the sea, he did not have land troops to take and occupy the city. 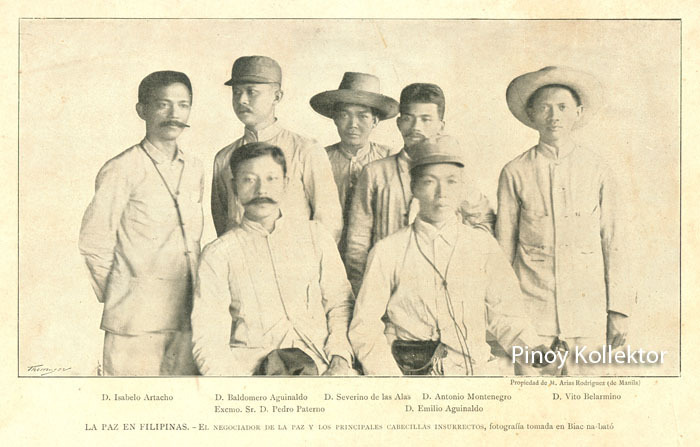 Shortly thereafter, Emilio Aguinaldo was brought back from exile in Hong Kong on a U.S. vessel to resume the Philippine revolution against Spain. 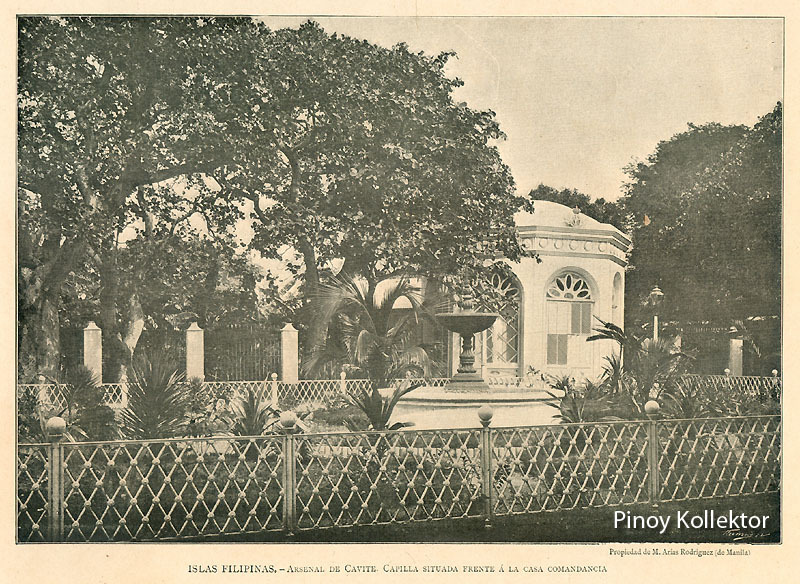 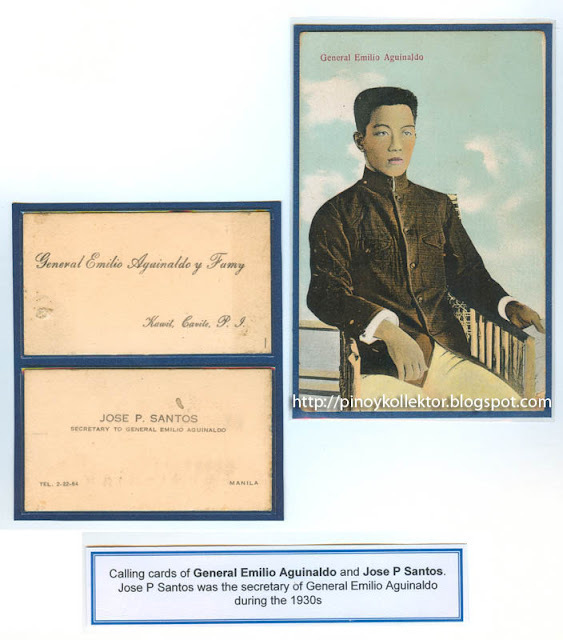 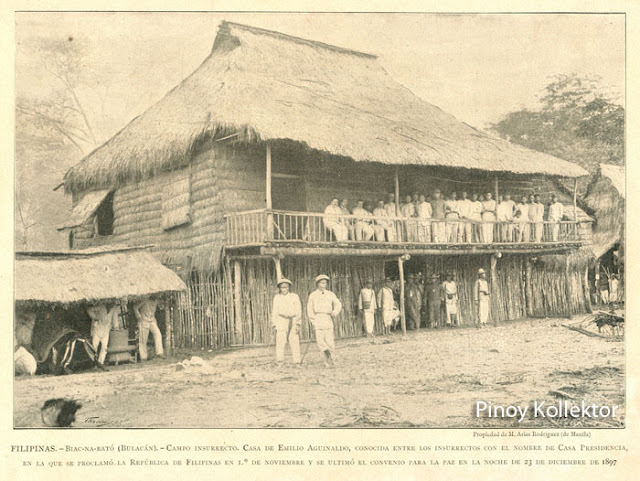 On June 12, 1898 the Filipinos declared their independence from Spain from a window of Aguinaldo’s home in Kawit Cavite. 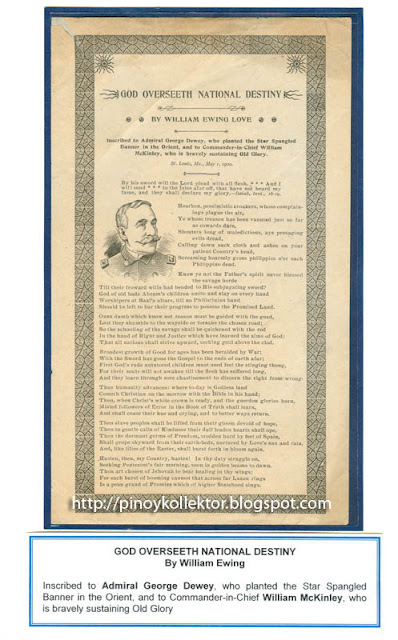 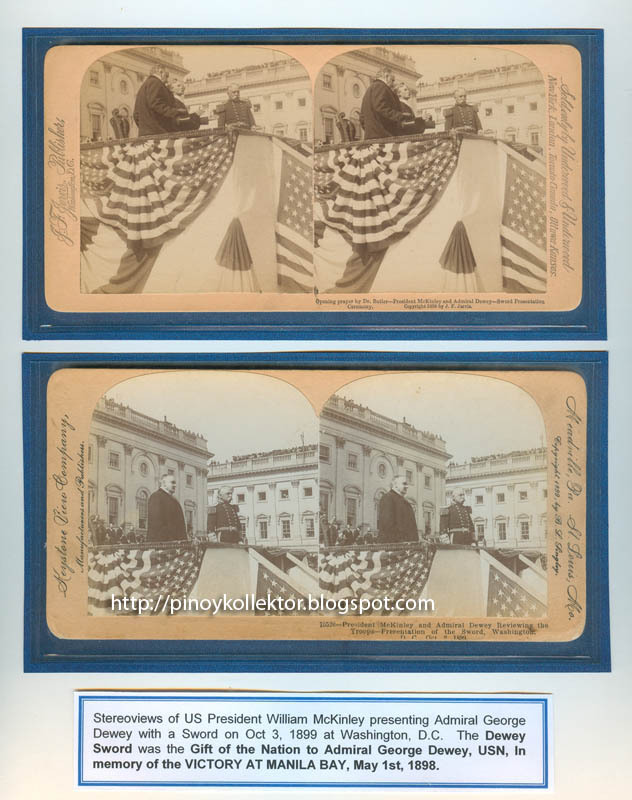 Dewey was absent from this historic event because he had been instructed from Washington not to make promises to the Filipinos or to recognize their independence. 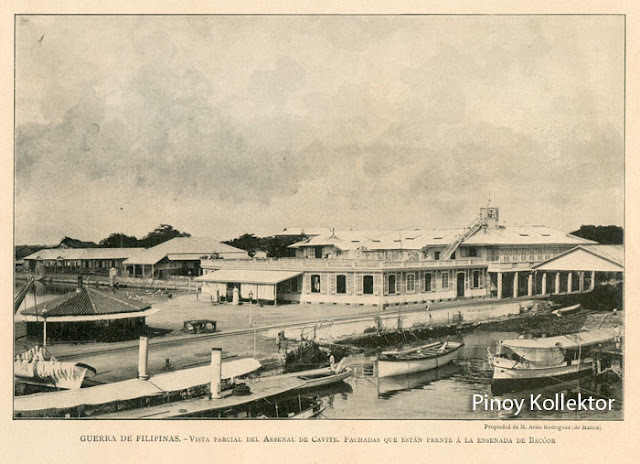 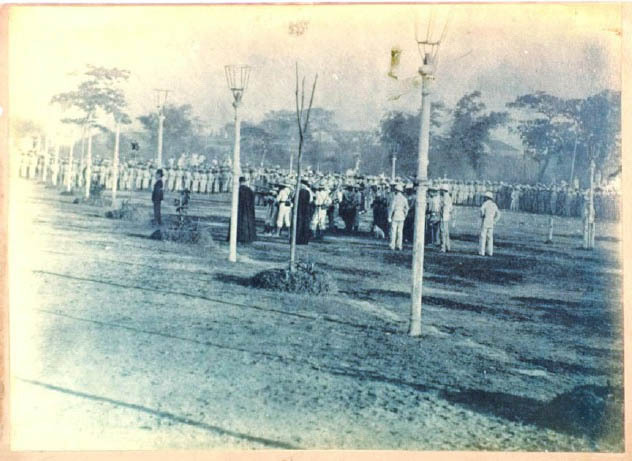 On August 13, 1898, Dewey bombarded the Spaniards in Fort San Antonio Abad (inside the present Bangko Sentral ng Pilipinas complex along Roxas Boulevard). 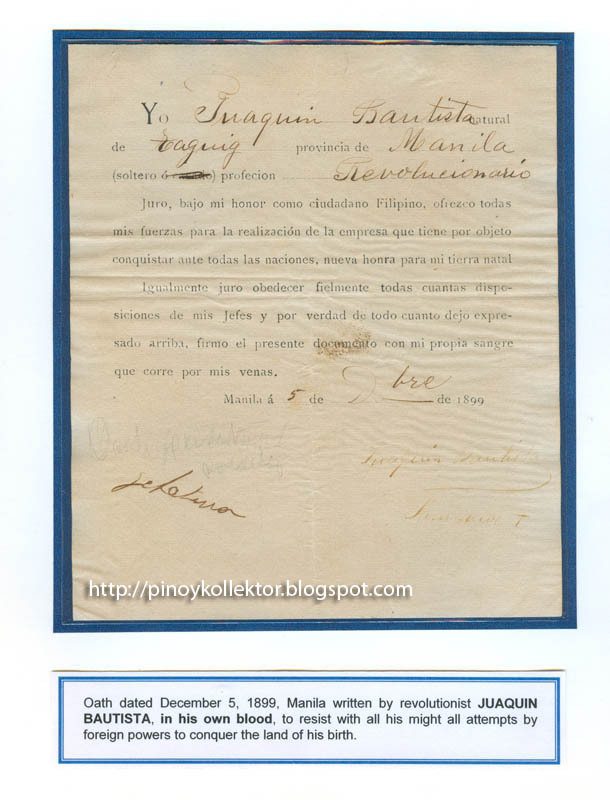 As secretly agreed, Spanish Manila was surrendered to the Americans and not to Filipinos. 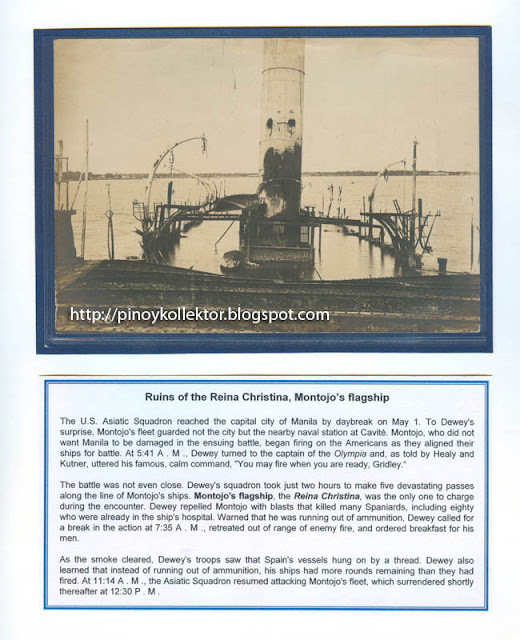 On the evening of February 4, 1899 a sentry named Grayson in a blockhouse in Sta. 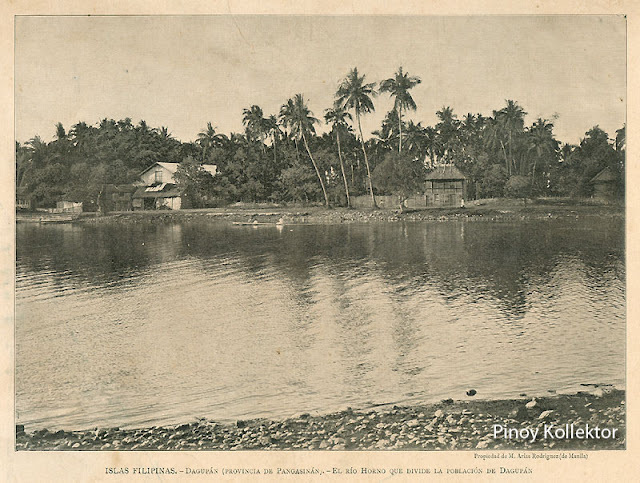 Mesa, on the outskirts of Manila shot and killed a Filipino whose name is forever lost in history. 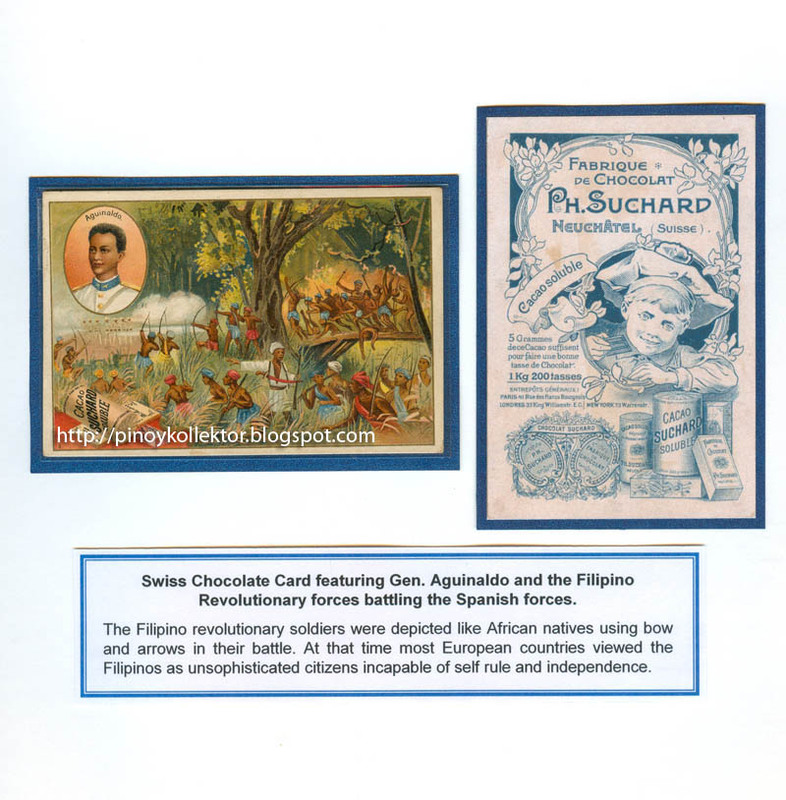 That shot began the Philippine-American War. 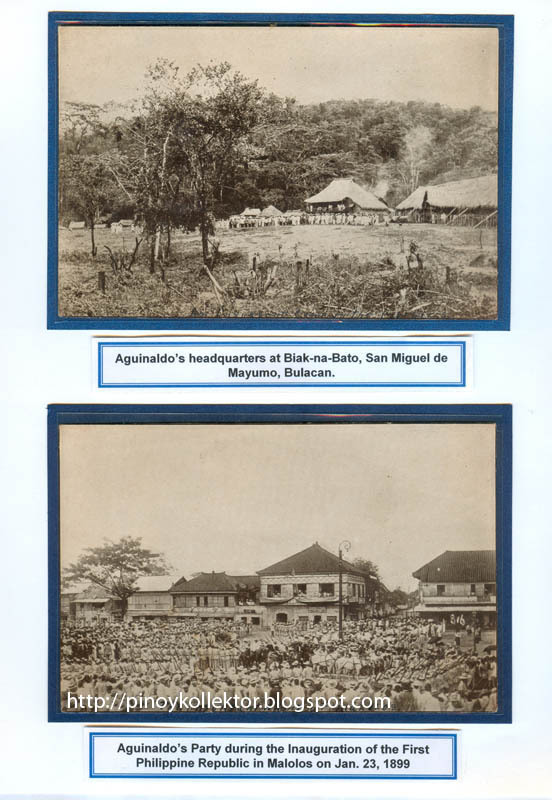 While Aguinaldo established the First Philippine Republic in Malolos, Bulacan in the same year, the U.S. had not recognized it. In 1999, the U.S. Library of Congress updated its bibliographic classification by changing the subject heading “Philippine Insurrection” to “Philippine-American War.” While an insurrection is a revolt against an established government, a war is an armed conflict between two nations: a simple change in words that has the power to transform the way in which Filipinos- and Americans- see their past, understand their present, and see the future. Aguinaldo's headquarter in Malolos / Igorote insurgents. 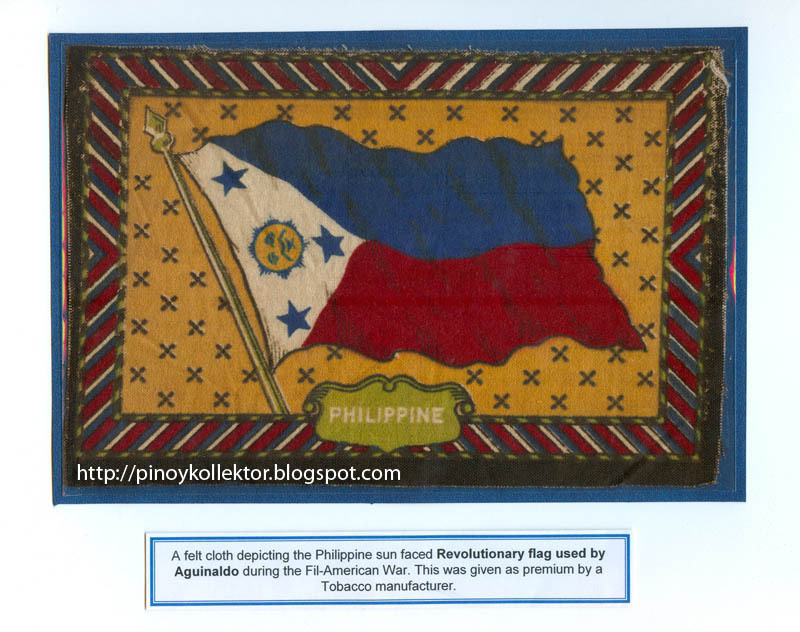 Sun faced Philippine revolutionary flag. 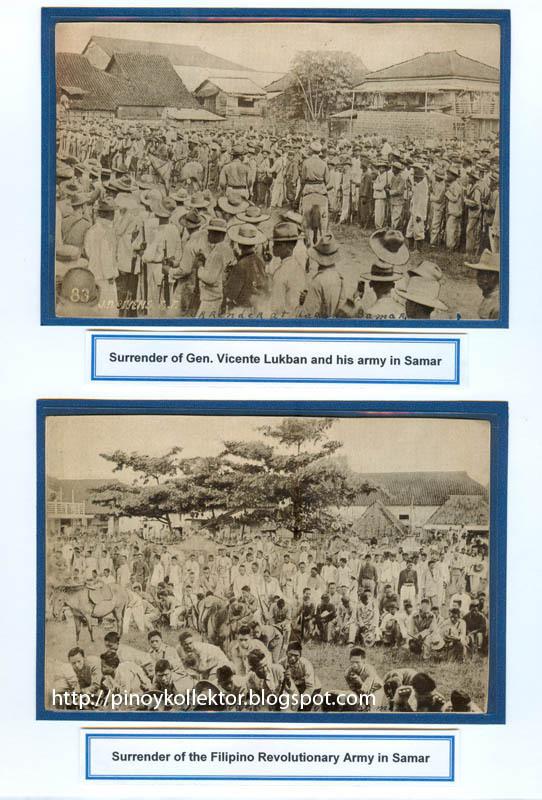 These photographs were taken by Manuel Arias Rodriguez and published a book "Guerra Filipinas". 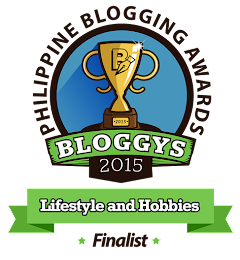 It provides us a glimpse about the Philippine Revolution in 1896-1898. 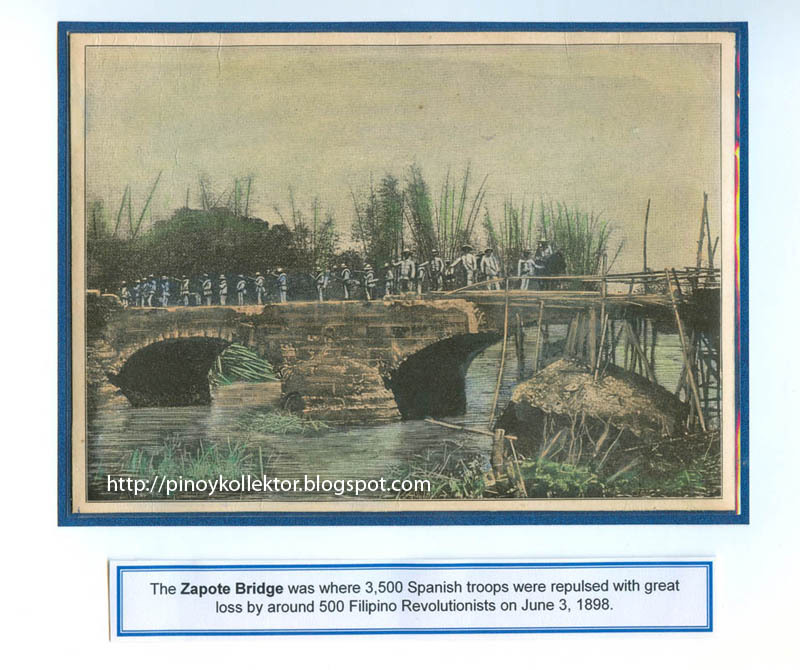 Rodriguez’s photographs appeared in El Comercio a newspaper that featured the Philippine - Spanish War. 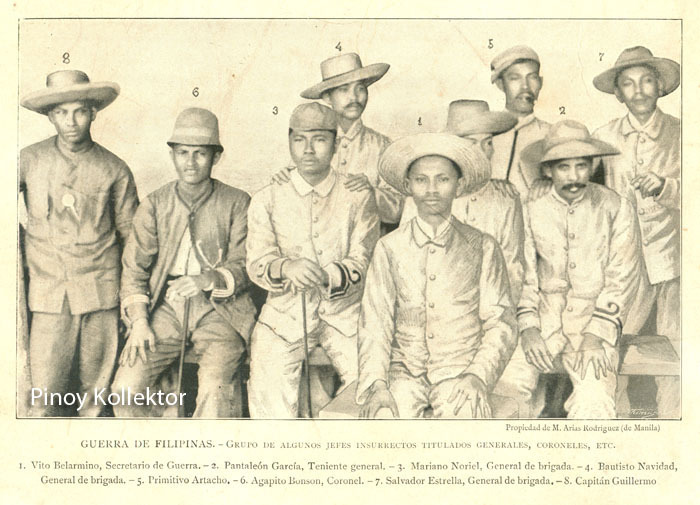 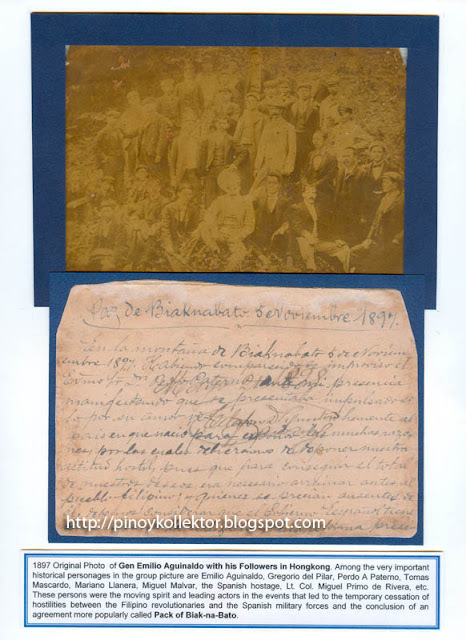 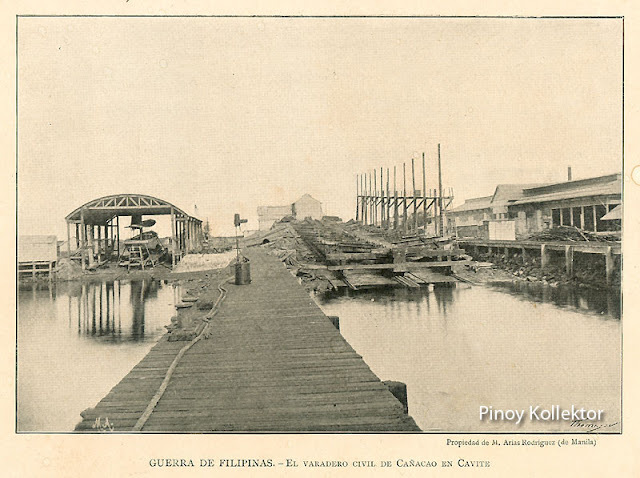 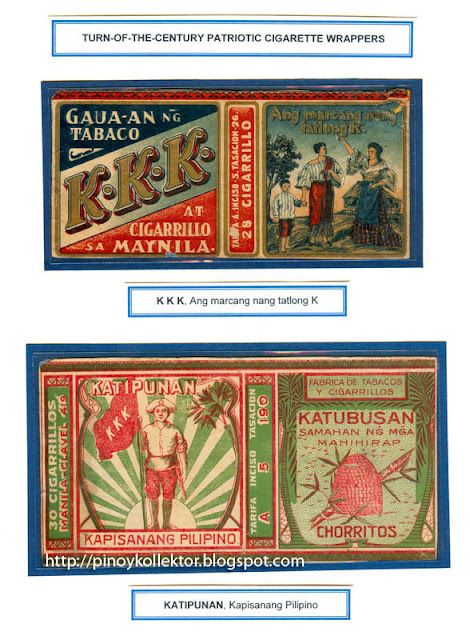 I would like to share these historic photos from the book "Guerra Filipinas". Generals and Colonels of the Philippine Insurrection. 1. Vito Belarmino, Secretary of War, 2. 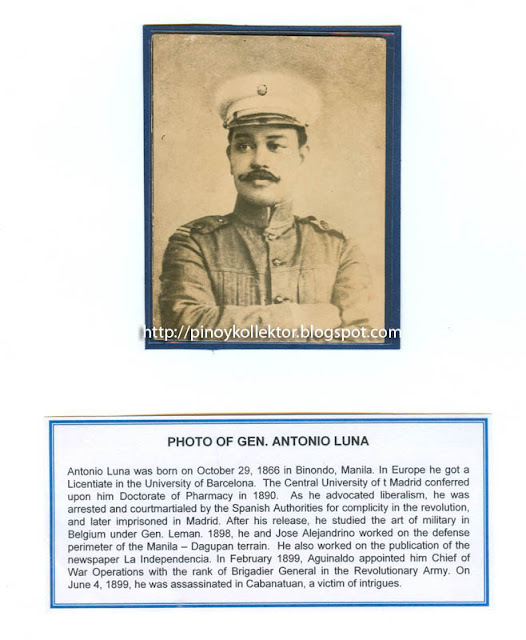 Pantaleon Gracia - Lt.General, 3. 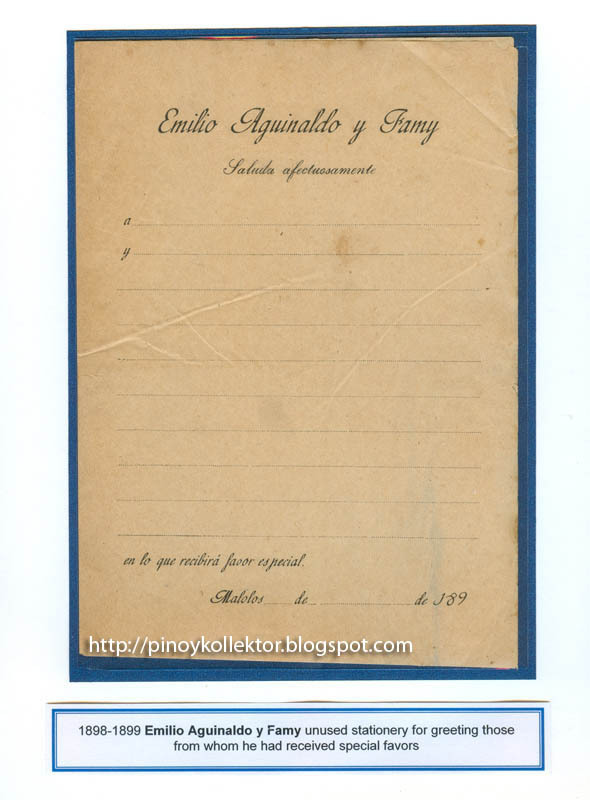 Mariano Noriel - Brigadier General, 4. Bautista Natividad - Brigadier General, 5. 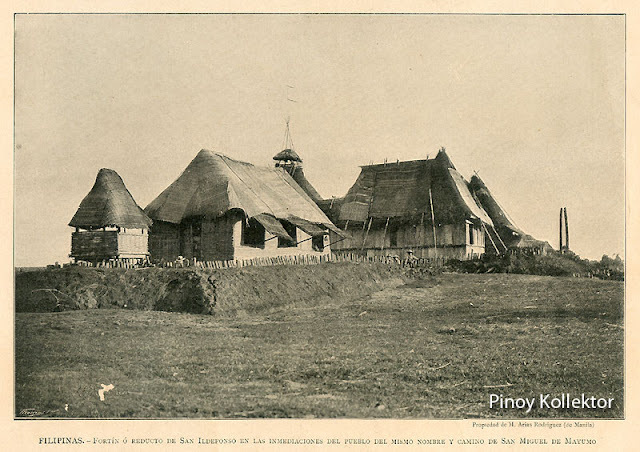 Primitivo Artacho 6. 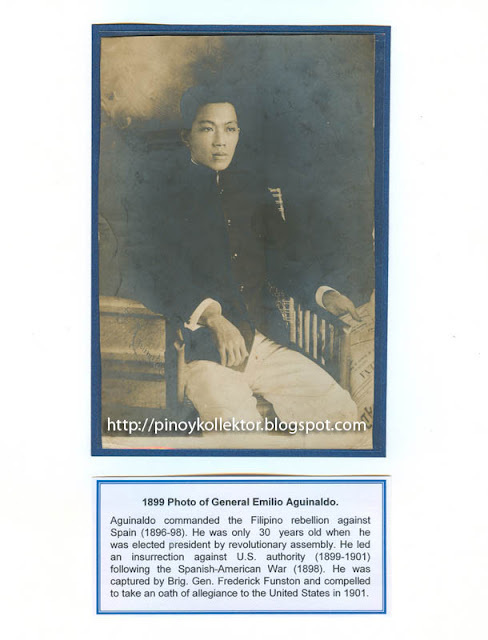 Agapito Bonson - Colonel, 7. Salvador Estrella - Brigadier General, 8. 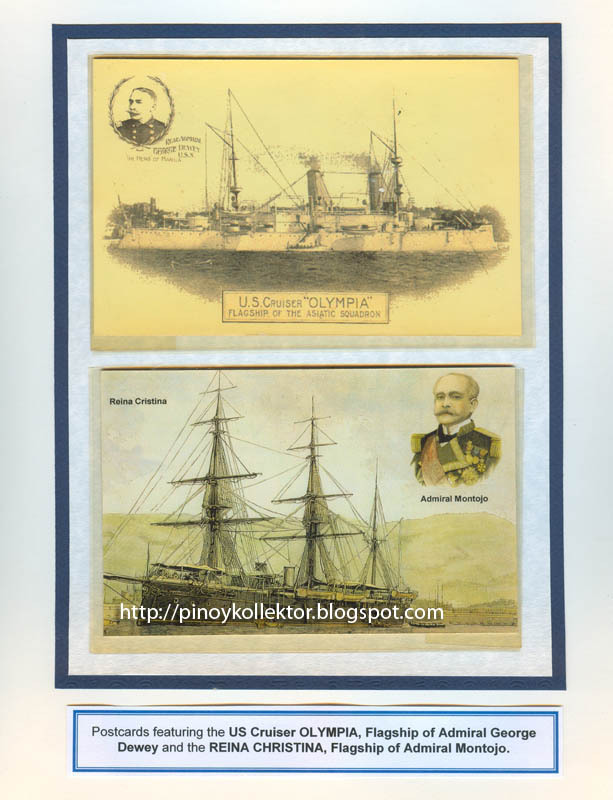 Captain Guillermo. 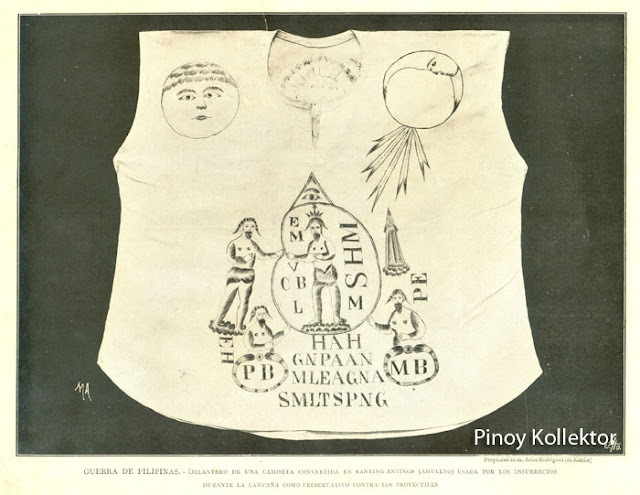 Back of a shirt turned anting-anting (amulet) used by some revolutionaries during the war campaign, as a preventive against projectiles. 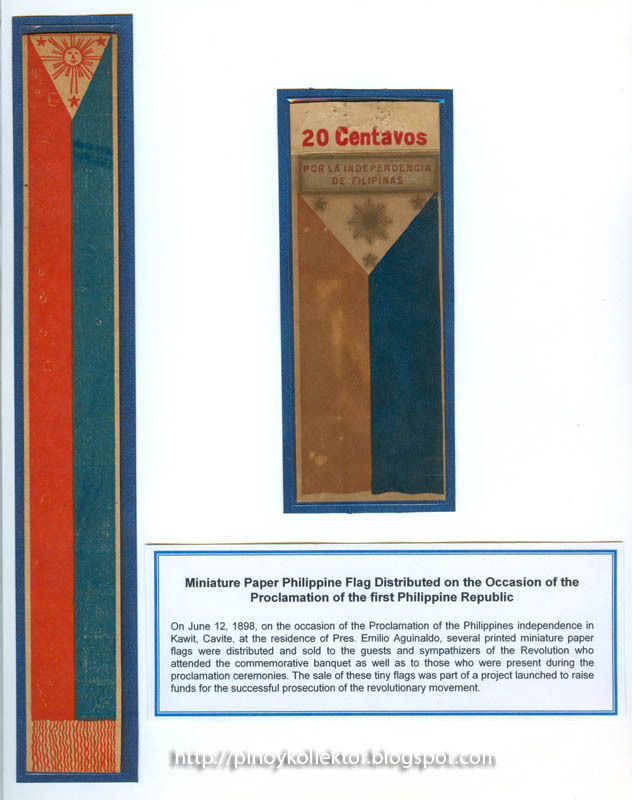 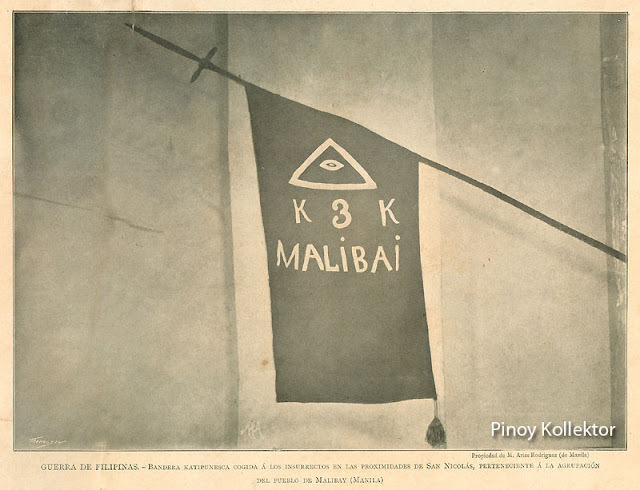 A Katipunan flag taken from the revolutionaries in the proximity of San Nicolas, belonging to the people of the Malibay (Manila) group. Front of a shirt turned anting-anting (amulet) used by some revolutionaries during the war campaign, as a preventive against projectiles. 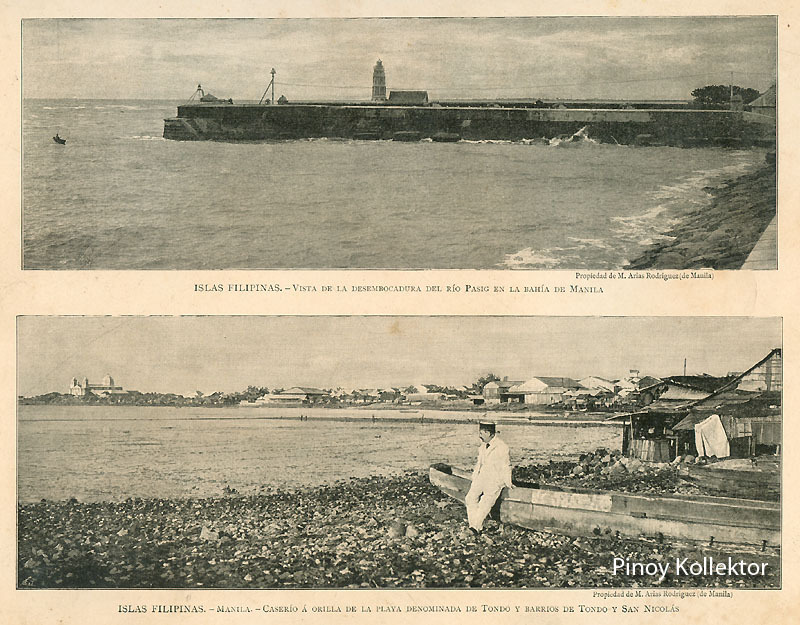 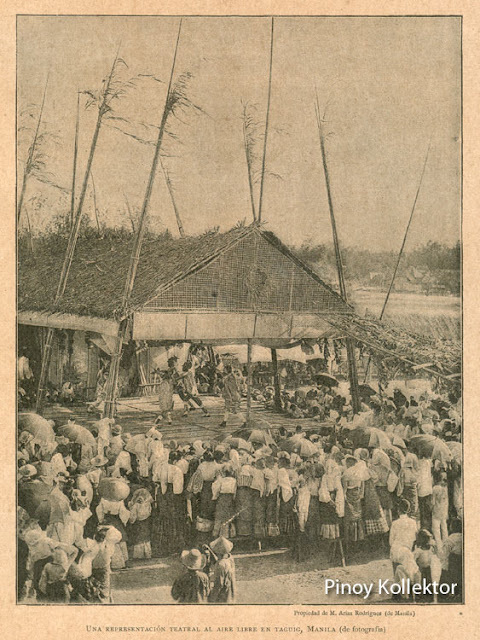 WAR OF THE PHILIPPINES . BULACAN, LUZON - Small fort or stronghold of San Ildefonso in the immediate town of the same name and path to San Miguel de Mayumo. 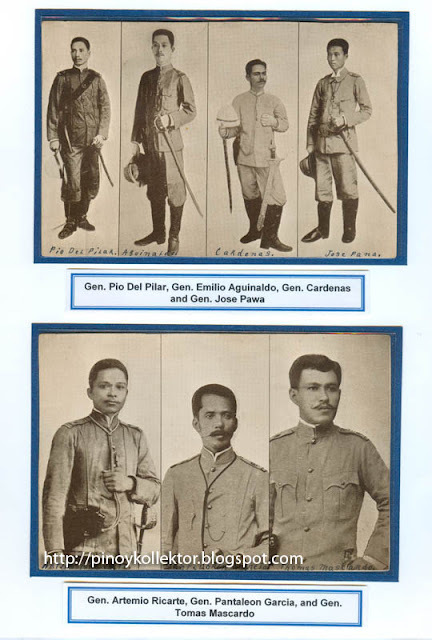 WAR OF THE PHILIPPINES. (Biac-Na-Bato, San Miguel, Bulacan, Luzon) - Rebel Field. 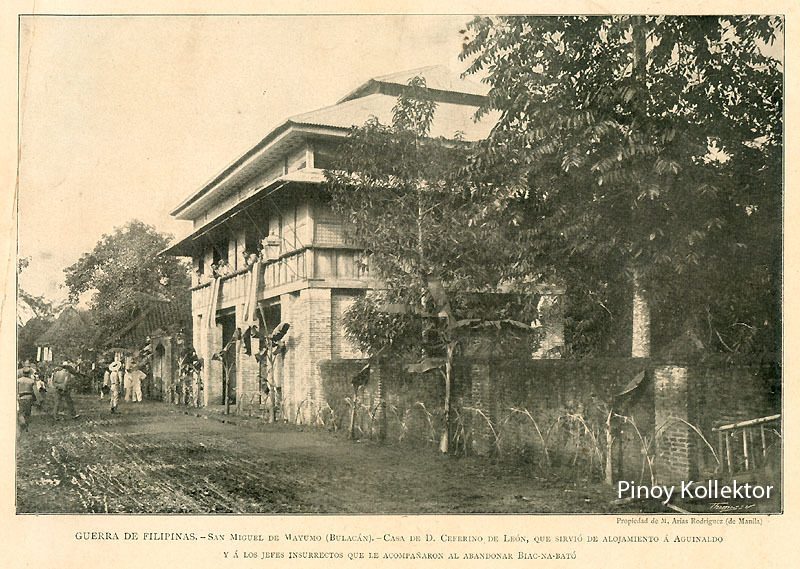 House of Emilio Aguinaldo, known among the revolutionaries by the name of "Casa Presidencia" (Presidential House), which was proclaimed the Republic of the Philippines on November 1 and the final peace agreement on the night of December 23. Cavite.- A civilian shipyard at Canacao.